Canada150, the sesquicentennial celebration of Canadian Confederation officially ended midnight December 31, 2017. It had not been the blowout party of 1967. Charlotte Gray’s Globe and Mail opinion piece was even titled “Canada 150, Doomed from the Start, Now Ends with a Whimper.” In part, she concludes that the centennial celebration was primarily boosterism for a country still ill-defined and distorted by a narrow narrative. 50 years later, Canada’s story is both more self-assured but also fluid, marked by triumphs but also dark currents that often remain disturbingly unresolved. 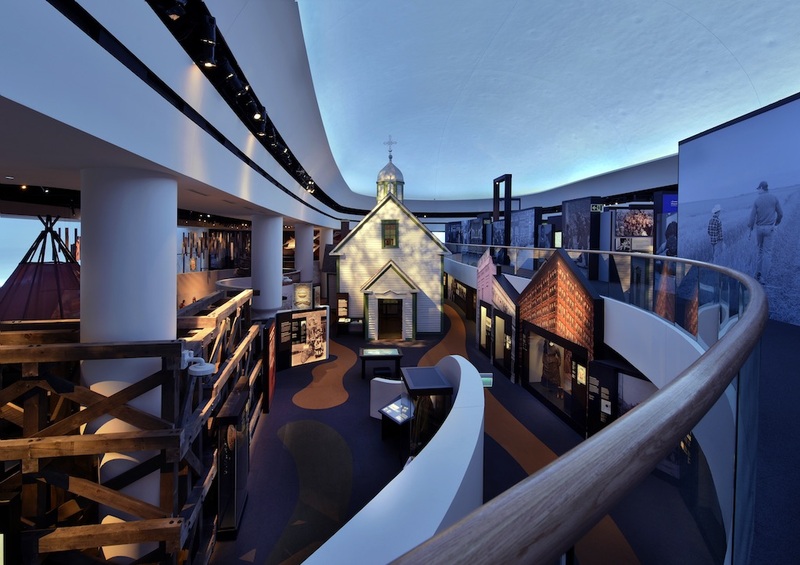 GSM Project was tasked with the redesign of History Hall, a major permanent exhibition in the Canadian History Museum in Ottawa, and worked in collaboration with Douglas Cardinal, the lead architect who initially designed the Museum. Within this context, however, the contribution of Montréal’s GSM Project to both celebrations reflects this transition from pure celebration to a much more nuanced assessment of our successes and failures, a more complex understanding of how our society evolves. In 1967, the firm designed three, multiple-themed Expo 67 pavilions and the interiors of Moshe Safdie’s Habitat. 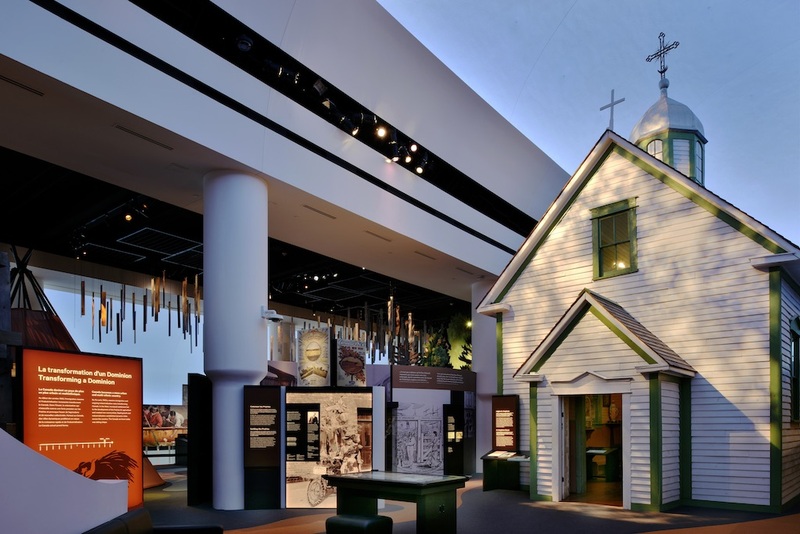 This defining moment, James Pappadopoulos, GSM’s Senior Director for Strategy and Business Development says, “commenced the trajectory towards the visitor experience work which forms the basis for what we are as a company.” 50 years later, the firm delivered four significant permanent exhibitions including transforming the History Hall of The Canadian Museum of History, redefining the Currency Museum into the Bank of Canada Museum, realizing the Canada Goose Artic Exhibit at the Museum of Nature and designing three galleries at the completely rebuilt Museum of Science and Technology. In each, the narrative is complex, interactive and frequently turns the spotlight literally on the warts contained in these stories. The origin of today’s 100-plus and growing employee firm with offices in Montréal, Dubai and Singapore can be traced from Jacques Guillon Designers, Inc. founded in 1958. Born in France and obtaining an architecture degree from McGill University, Guillon has been called the founder of the first multidisciplinary design office in Canada. 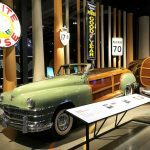 His still-available 1953 Cord Chair is already a Canadian classic, the new firm soon made a much larger-scaled mark on its home town. 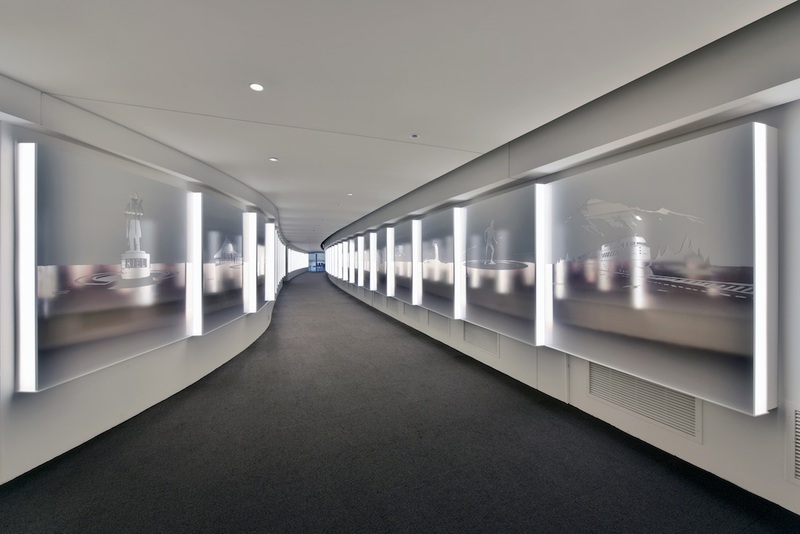 This included eight floors of state-of-the art offices for Alcan’s Headquarters (creating the Alumina desk, another classic) as well as designing all aspects of Dorval International Airport’s interior (its perforated screen panels are still commercially available). 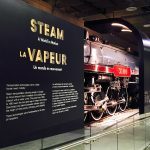 Its most indelible mark, however, was the design of Montréal Metro’s signage and the subway’s still-operating sky-blue rail cars with their signature quiet rubber wheels. This work was facilitated by the recruitment of American industrial designer Morley Smith (1962) followed by Swiss graphic designer Laurent Marquart (1965). The creative team was completed with Roger Labastrou, a Swiss architect who would lead the interior design department. 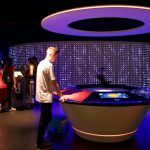 A team from GSM Project and Lightemotion used over 40 kinds of light fixtures, from theatrical floodlights to gobo projectors and miniature LED heads to create a unique path of light. 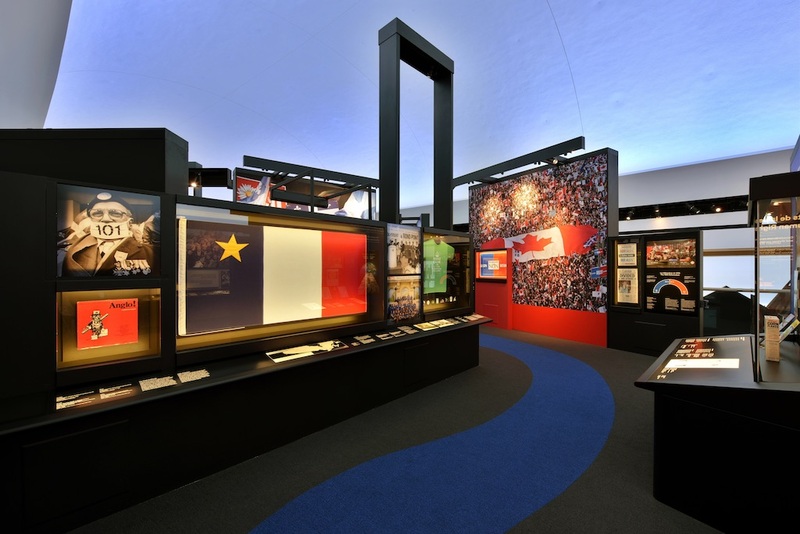 Success at Expo 67 set a precedent for similar future Expo work, such as Vancouver 87 (Canada Place), Lisbon 1998 (Oceania Virtual Reality Pavilion) and Shanghai 2010 (Canadian Pavilion with Cirque du Soleil). 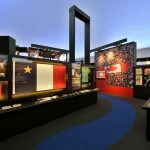 Each reflected the firm’s increasing focus on interactive, multi-media story telling with the last providing a succession of rooms employing screens, interactive displays and movement to relate Canadian history, its creativity and identity. Plans are afoot for Dubai 2020. By 1978, as Guillon was downgrading his participation, the firm was focused on visual communication as well as industrial, interior and exhibition design. With his full retirement in 1987, Smith’s industrial design department broke away leaving  Marquart as president of GSM Design/Aménagement, communication visuelle et exposition inc. He was supported by Kathleen Lanni in charge of interior design and Yves Mayrand heading up exhibition design. 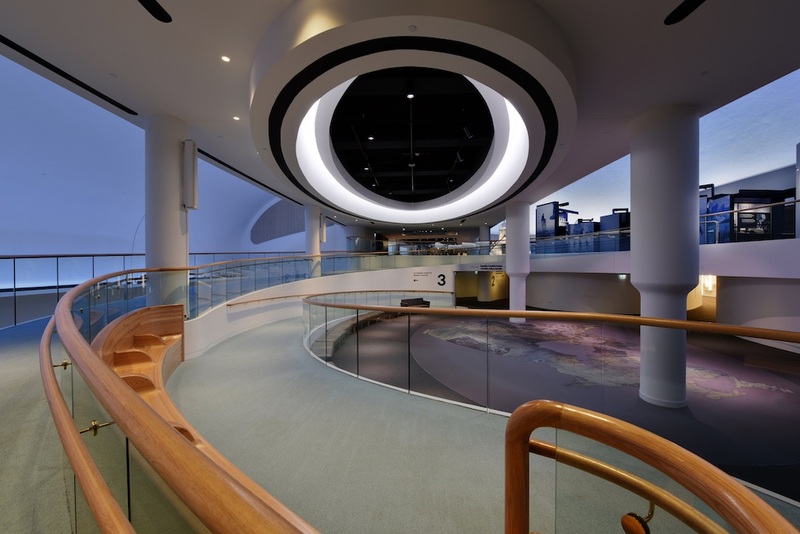 Covering 40,000 square feet over two floors, lighting was a major tool to direct viewer’s attention. Mayrand, who joined the firm in 1981, now owns the firm along with investment firm Expand Capital and acts as president and Chief Creative Officer. A graphic designer by trade, says Papadopoulos, “he learned very quickly about the holistic aspects of the experience as well as the business component” before buying out the company over time from the previous owners. 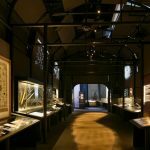 When fine-tuning the lighting, GSM Project and Lightemotion worked closely with the museum’s conservation team to provide consistent and suitable lighting, carrying out tests that included thermal models to ensure optimal conservation conditions for the artifacts. As the firm entered the new millennium, Montréal provided an excellent base given its strong emerging digital technology sector. The city, says Pappadopoulos, is not only rich in digital media talent with a global reputation, it has actively supported both related education and a commitment to creativity and cultural investment. Yet by 2003, GSM had no Montréal projects and 98 per cent of its work was outside Canada. “The reality of the market and the business we are in,” he continues, “necessitated looking outside of [Canada] for long term sustainability.” But if going global was partly born out of necessity, it was also born out of curiosity in wanting to go explore other areas. Singapore, with its late 1990s statement on the county’s overall direction that included a mayor commitment to cultural investment, proved fertile ground. 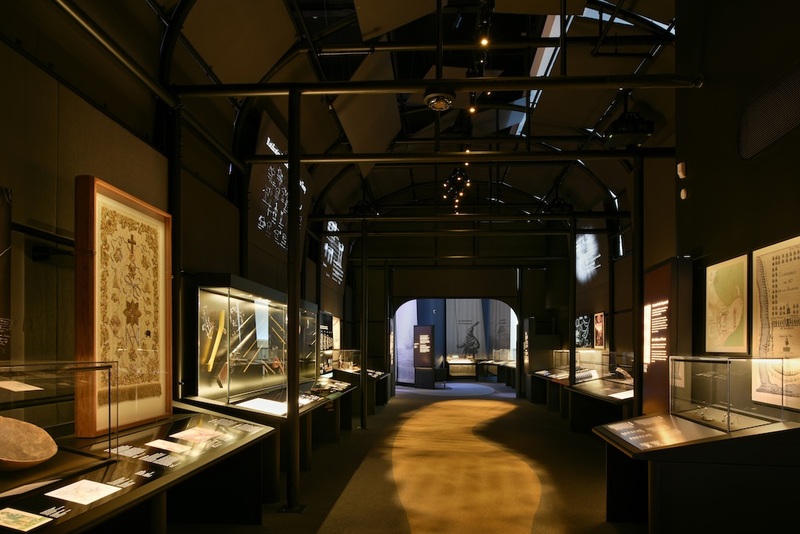 A successful renovation of the Asian Civilizations Museum was followed by a winning bid to develop the new National Museum of Singapore (2006). 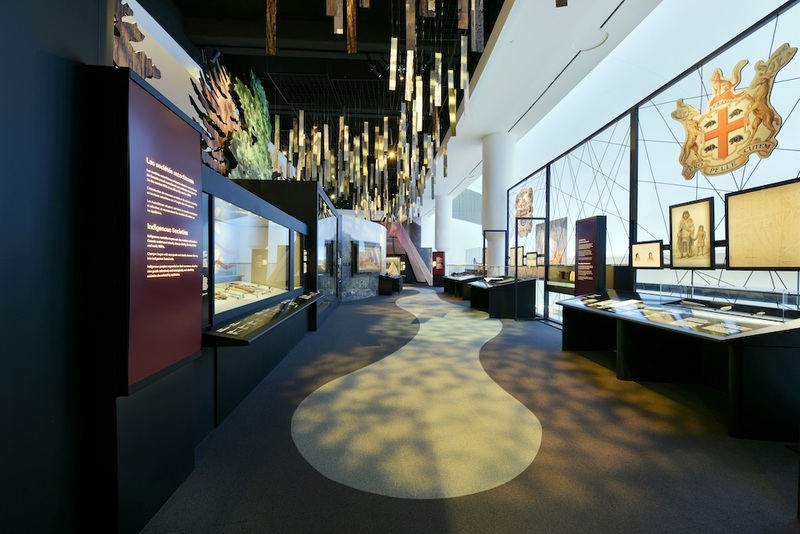 The award-winning result was a space that presents seven centuries of history without any printed text, which stretched the firm’s creative talent to ensure a space that could tell a wordless narrative that could transcended just the individual exhibits. A similar commitment to cultural investment by Dubai also opened up opportunities. Starting in 2010, this included the design of The Top Burj Khalifa, the observation deck atop the world’s current tallest building. Here, says GSM’s material, the visitor experience ushers people from the ground to the sky and back down through a series of highly interactive and multimedia installations that address the history of Dubai and the construction of the tower, culminating with an unparalleled view from the top. GSM offices in both countries are growing, now over 10 in Singapore and approaching 30 in Dubai. Key to international success, is “knowing how to be culturally sensitive and to have a process to ensure we do things appropriately for the society in which we are working,” says Pappadopoulos. One suspects, again, that long experience in the culturally charged environment of identity that defines Québec has been a plus for the firm. In 2008, after over a decade of experimenting with having independent specialist firms, an amalgamation under GSM Project ensured a more holistic approach to managing highly creative, multidisciplinary teams. 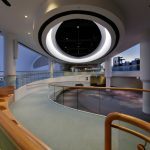 “We can now take on the full dimensions of a project and hand over the entirety of the project to the client, something many of our counterparts in this niche market can only do with partnerships,” Pappadopoulos maintains. The firm’s creative and production groups work in Studio Teams lead by Creative, Project and Production Directors. Creative disciplines include a planning and concept team with museum, research and writing backgrounds, a graphic design team (including Branding), an environmental design team of interior designers and architects and a multimedia and interactive team. The last must understand what an expereince journey would look like and then detail the user interface from the digital perspective. “The story telling,” he says, “emerges from the creative teams collectively. Within a project the Creative Director oversees the process with those around the table in terms of thinking about the different ways the visitor might see the content…The content is then mediated by the design and the environmental aspects to produce the best way to take someone through the particular process.” Interestingly, Taylor’s background is in theatre directing. Content and the authentic artifact, states the firm’s philosophy, comes first, but way they are presented will determine if and how the visitor engages. 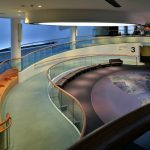 The History Hall contains three time-defined galleries telling 19 “stories.” The first is Beginnings (11,500 BC to 1763), the second, Colonial (1763-1914) and finally Modern (1914-today). 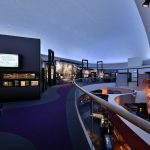 These galleries are spokes organized around a central Hub, accessed through a curving, almost ethereally lit hall defined by steel panels engraved with iconic images from across Canada. Visitors, Taylor notes, often seek out images from their home locale for the inevitable selfie. 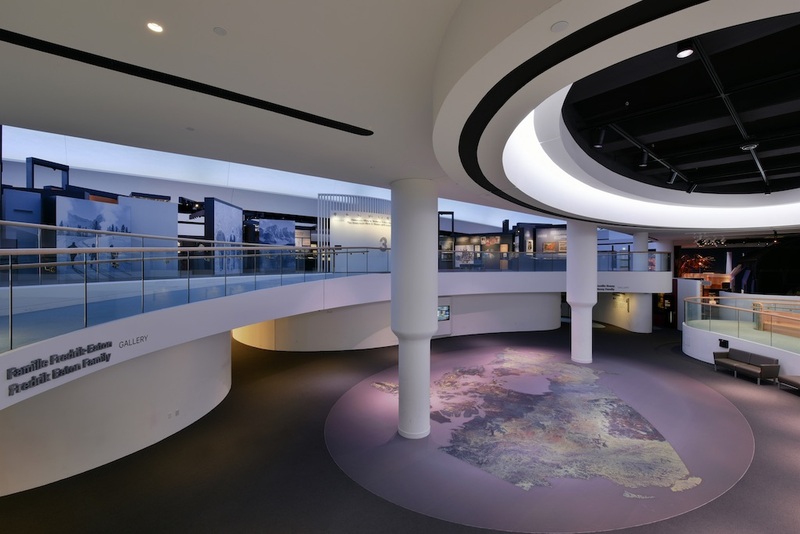 The hall exits onto the top of a giant topographical-only map of Canada covering the floor of the central hub. 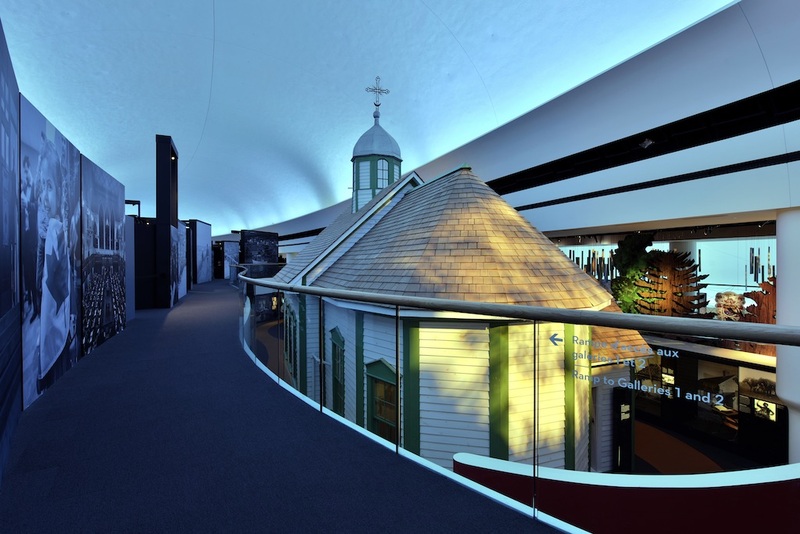 “This ‘upside down’ approach,” Taylor says, “reflects the way original migrants arrived from the west across the top.” Of the three radiating spokes, one accesses the re-established mezzanine level, whose reappearance reveals Douglas Cardinal’s original triple-height vaulted ceiling reflecting a country “infinite and vast.” Throughout, frequent open sightlines, both broad and slivers, visually connect the different stories. The rich use of authentic artifacts, augmented by narrative text, is supported by a significant change in how light is used. “We worked with Lightemotion from Montréal to use light as a way to make the artifacts emerge, which constitutes a movement away from the old idea of using a general wash of light,” he says. Beginnings is about our origin story with the focus “on the real thing.” The first artifact presented is a beautifully singled-out and delicately lit Clovis Point arrowhead fashioned by the Clovis people 13,500 years ago. Subsequent stories reflect how pre-colonial peoples evolved into discrete tribal kingdoms instead of generic “indigenous peoples,” points out Taylor. The pre-colonialization saga, therefore, mimics the simultaneous emergence of European kingdoms. 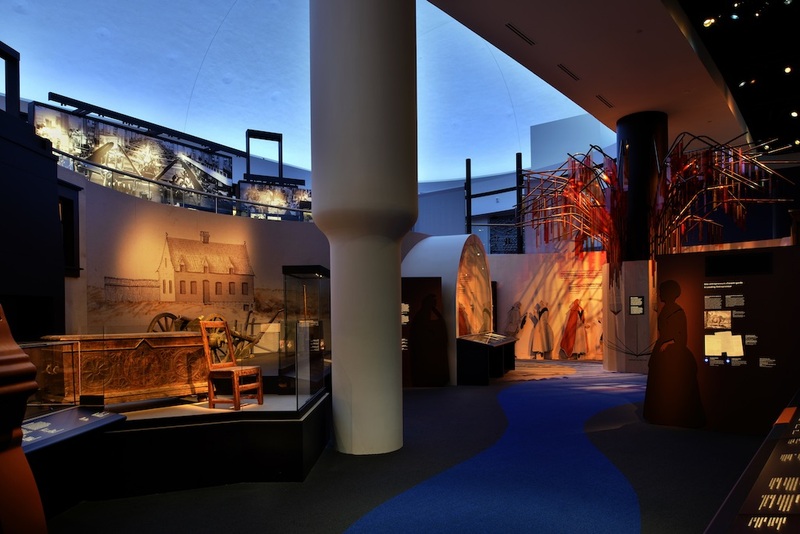 France’s arrival introduces the Colonial gallery whose narrative strides a balanced line between military, political, economic and domestic history that never shies away from horrors against aboriginal nations. Prominently displayed is a brutally distasteful quote from John A. MacDonald on keeping aboriginal children away from their parents’ influence. Highlighting the return to authenticity, an actual early Ukrainian Church is the only holdover from the original hall. 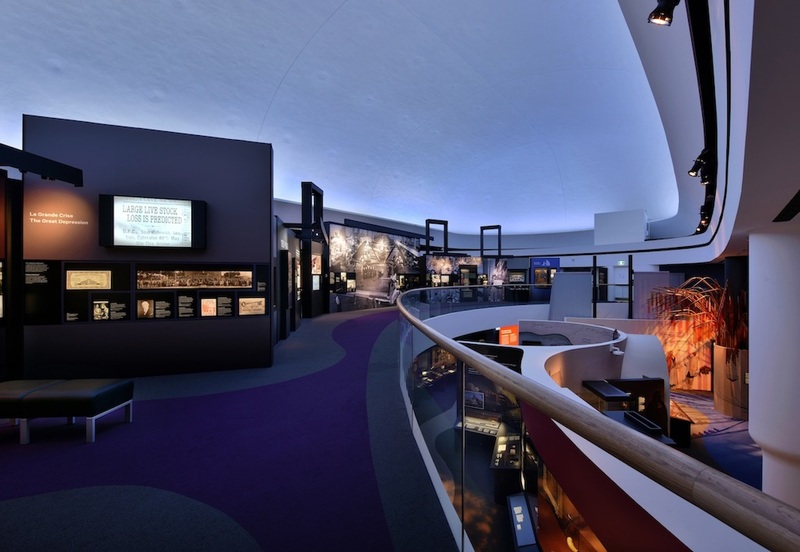 The Modern gallery contains the final six thematic stories. The remarkably diverse stories presented are intended to show just how “messy” even our current history has been, whether tabulating our successes or exposing our shortcomings. 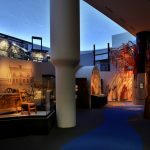 “We really wanted to get the experience of native people in the 20th century right; but also document other groups that have often been marginalized in the history of Canada—gays, other races and minorities as well as women—yet also demonstrate the strong role of multiculturalism,” says Taylor. 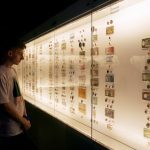 In December, 1980, the Canadian Currency Museum opened in Arthur Erikson’s new Bank of Canada Building to display some of the now over 130,000 currency artifacts. 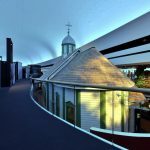 As part of the upgrade to Erickson’s building, a new 7000-sq.-ft. museum space was constructed under a windswept plaza, now much enhanced by bold, light-admitting skylight shards. 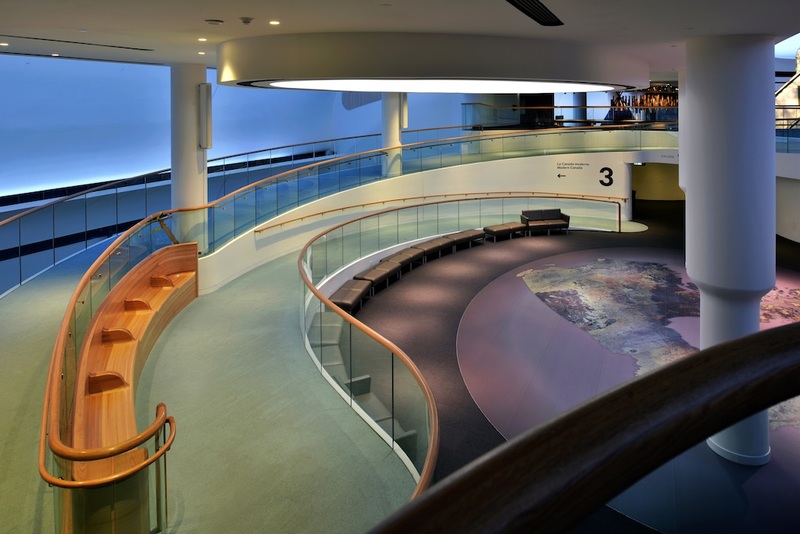 The museum below, says Nicole Gurski, the Bank’s Manager of Visitor Services, is now an “entertaining” museum about the role and functioning of the Bank of Canada. Four gallery zones, each colour coded and focus-lit to create an almost dazzling futuristic landscape, explore each of four core Bank functions: setting monetary policy; promoting a sound fiscal system; acting as the government’s fund manager; and issuing Canada’s bank notes. Woven through these galleries are also subtle Economics 101 lessons to help visitors understand both the Bank’s and their own role in the Canadian economy. 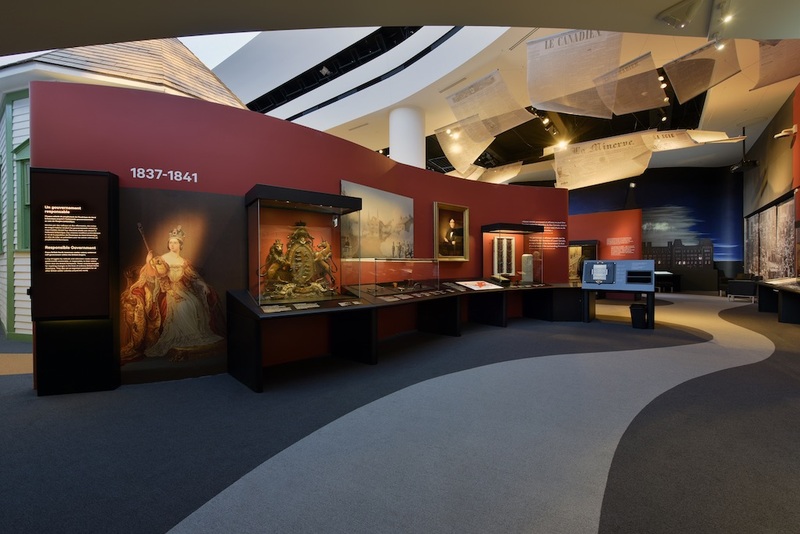 Through interactive modules and the display of more than 1,400 artefacts over 7,000 square feet, the Bank of Canada Museum takes visitors through the history of the Bank and Canadian currency, and attempts to distill and animate complex issues related to the economy. 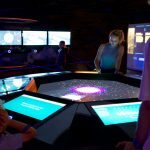 The first exhibit is a 6.5-m. touchscreen displaying 400 currency artifacts. By tapping, dragging or swiping, visitors can change coins, activate text or manipulate how the coin is displayed. 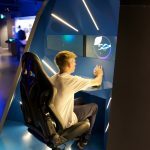 The overall approach, says GSM Project’s backgrounder, allows discovery “through a variety of means, from colourful data visualizations, documentary videos and animations to mechanical and digital games and a multimedia show.” Highly interactive exhibits employ the latest technology to unpack arcane subjects like inflation and supply and demand “in playful ways.” Playful? Well, you can take digital command of an intergalactic rocket and attempt to fly it through a galaxy of economic forces, or you can manipulate liquidity delivery from the Bank to a small bank in distress (wrong choices and there’s trouble!). After exploring both Canadian and exotic historic currencies, you can even design your own bill. 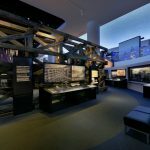 GSM also delivered three galleries as part of the $88-million overhaul of the Museum of Science and Technology: Steam – A World in Motion, Sound by Design and Into the Great Outdoors. 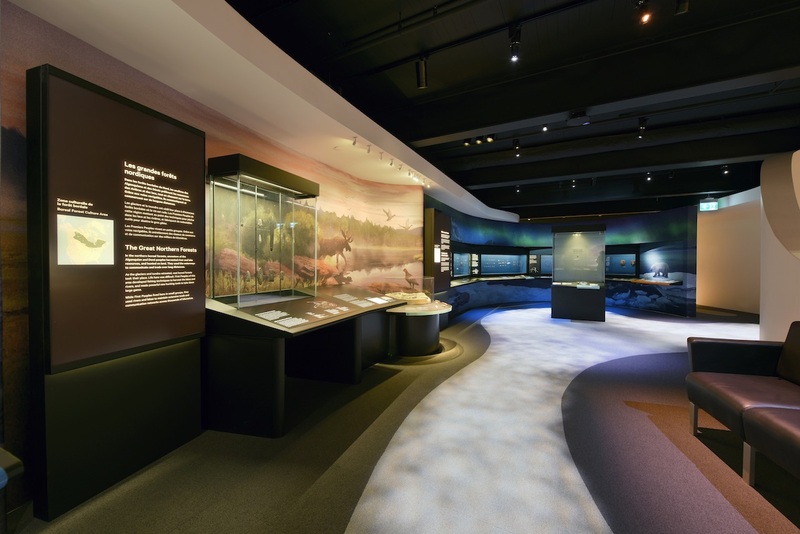 As well, they conceptualized and supervised installation of the Canadian Museum of Nature’s Canada Goose Arctic Gallery. 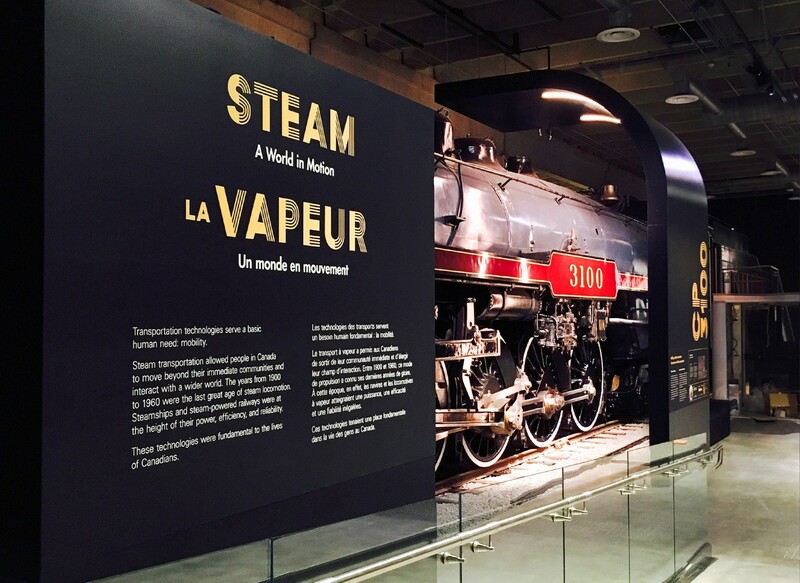 The Canada Science and Technology Museum underwent major renovations to coincide with Canada150, and GSM Project was asked to design three exhibition spaces. 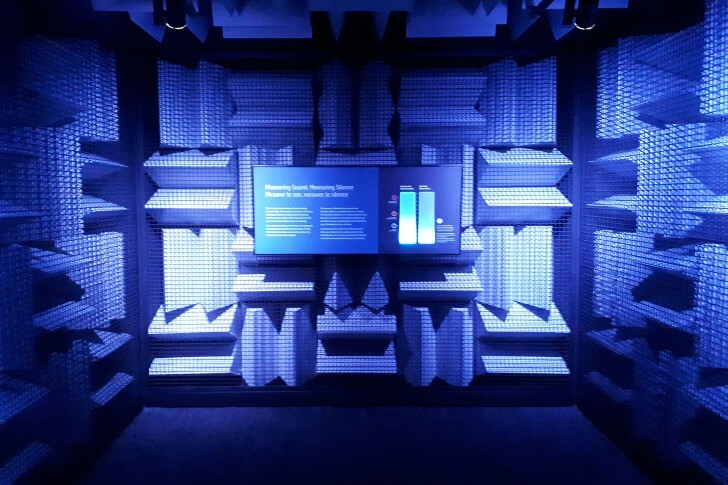 Sound by Design shows the different historical inventions for capturing and reproducing sound, as well as how their design has adapted to the lifestyles and fashions of their era. 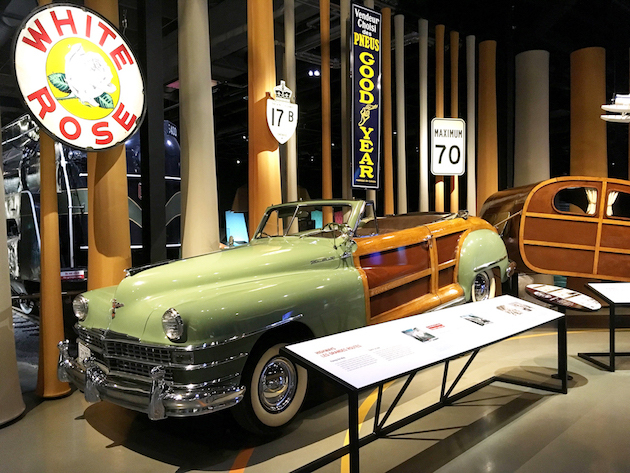 Into the Great Outdoors shows over than 100 years of technologies developed to access the vast Canadian landscape, from snowshoes to snowmobiles. 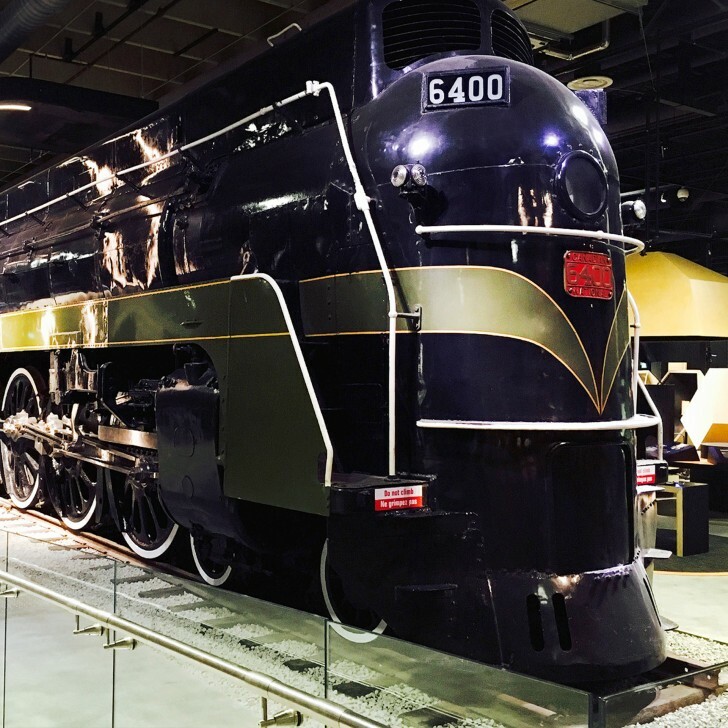 Unintentionally, the former offers an opportunity to compare museum exhibit approaches. 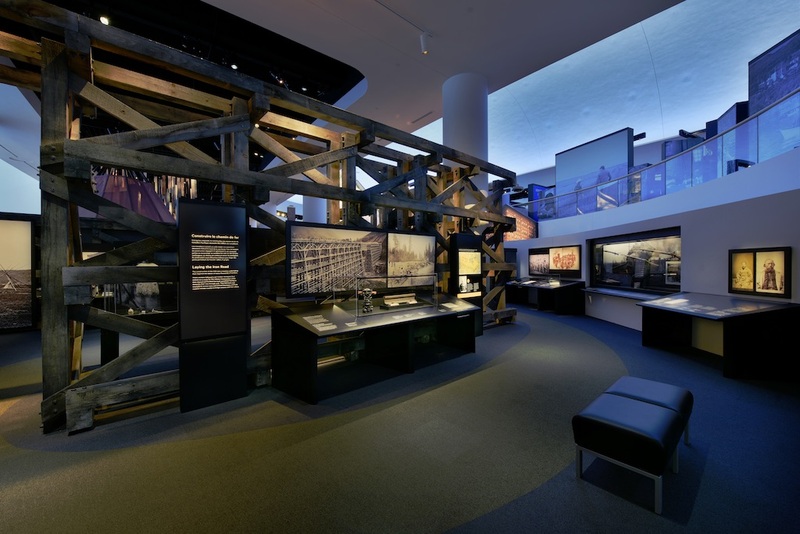 Like the rest of the museum, the GSM-designed galleries are artifact-heavy but presented quite differently. 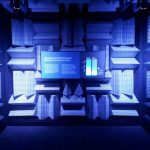 Using 19 interactive and media stations, GSM animates a clear and uncluttered narrative interweaving a specific technology with its impact on Canadian society. 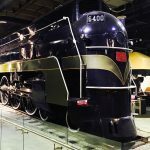 For example, Canada’s last great age of steam from 1900 to 1960—complete with four massive locomotives—includes not only how innovative steam trains opened up and transformed the country, but also how steam played a key role transporting the country’s great immigration influx (not always a heartwarming story). Conversely, although chock full of authentic artifacts, much of the rest of the museum is comparatively chaotic and directionless. 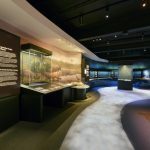 Finally, the Arctic Gallery extends the meaning of “nature” to include the rich cultural relationship between its residents and its delicate land and hardy animals. 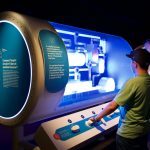 The Real Ice exhibit provides an interactive experience that does not shy away from the contemporary threat of global warming. “2017 was about closing a number of major initiatives,” says Pappadopoulos. “In 2018, new ones are getting underway.” This includes four pavilions for Dubai’s planned culture-based district, a nature-centred project in Singapore and a Science Centre in Patna, India. 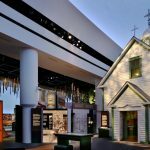 Back in Montréal and the U.S., there are a number of interpretive cultural site projects in the works along with the new Canadian Canoe Museum in Peterborough, Ont. GSM Project finished Canada150 not with a whimper but with a bang, and for this global Canadian firm the party continues.